The Serie A is the top tier of professional football in Italy and is contested by some of the Worlds most famous teams. 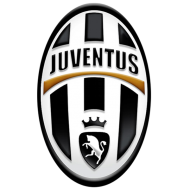 Founded in 1898, the league is contested by twenty teams with the winners crowned Italian Football Champions. As with the national team of Italy , the Serie A is based on free flowing, attractive football by some of the games famous club teams including Juventus, Inter Milan and AC Milan battling it out to be crowned Champions. Whether you are looking for your teams Home or Away shirt, you will find all the football shirts you need right here. Designed and crafted by the leading brands in football our shirts offer fantastic value for money. Because we know you want to spend more time watching and playing football rather than shopping, we have made it easy for you to find your favourite shirts and other football merchandise.